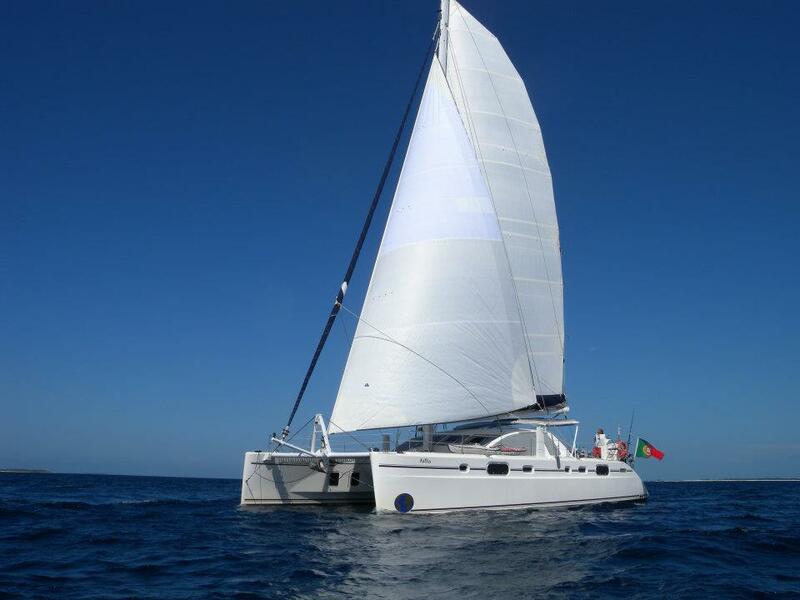 Sailing Catamaran FOLLIA was launched by French shipyard Catana in 2002, and underwent a refit in 2011. 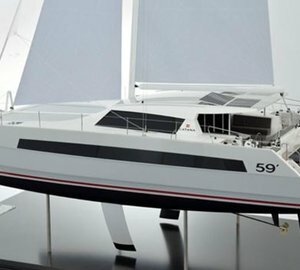 The yacht measures 17.9m (59ft) and was the design concept of Christophe Barreau. 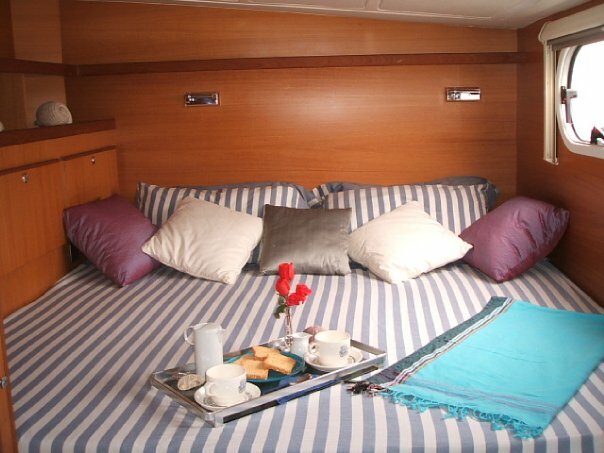 S/Y FOLLIA can accommodate up to 8 guests in 2 double and 2 twin convertible cabins, all cabins are en-suite. 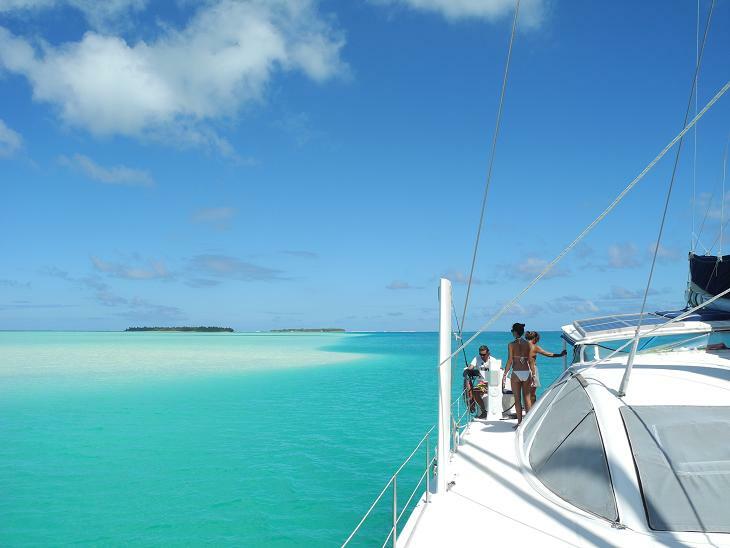 Charter yacht FOLLIA is available in the idyllic South Pacific. 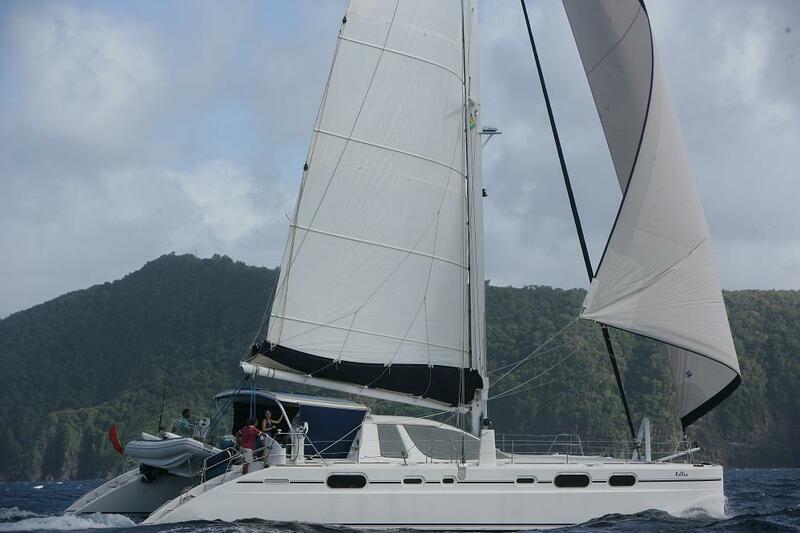 Catana 581 Catamaran FOLLIA has a light airy interior with modern honey toned wood panels, subtle cream soft furnishings and plenty of large ports and hatches for optimum ventilation. 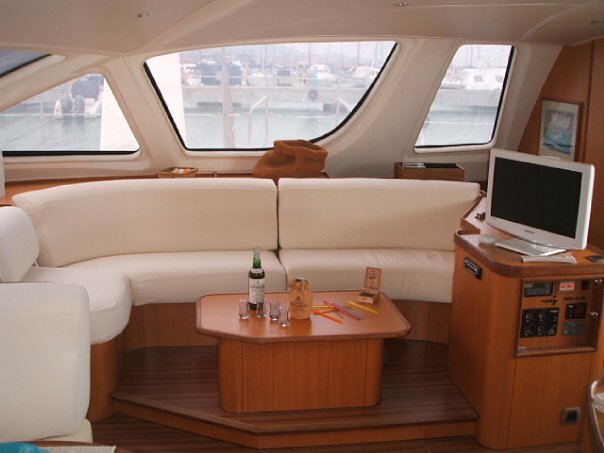 In the salon a formal dining table, lounge area and galley are all set in an open plan. Wide sliding glass doors open the salon onto the shaded cockpit and alfresco dining option. 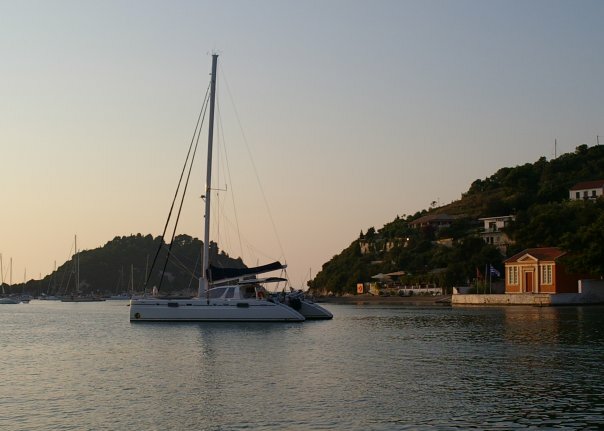 Guest accommodation is located in the port and starboard hulls, fore and aft. The crew have separate quarters in the bows. 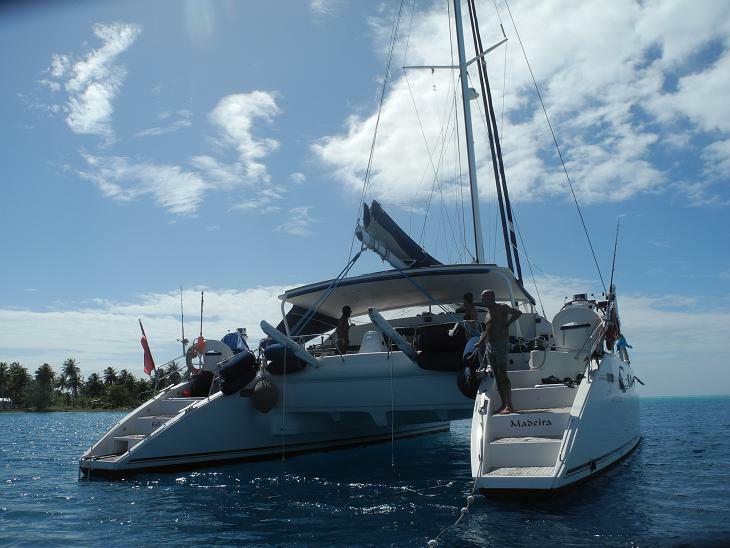 South Pacific based charter yacht FOLLIA offers plenty of exterior living to enjoy. The aft cockpit is adjacent to the salon and offers an alfresco dining option. 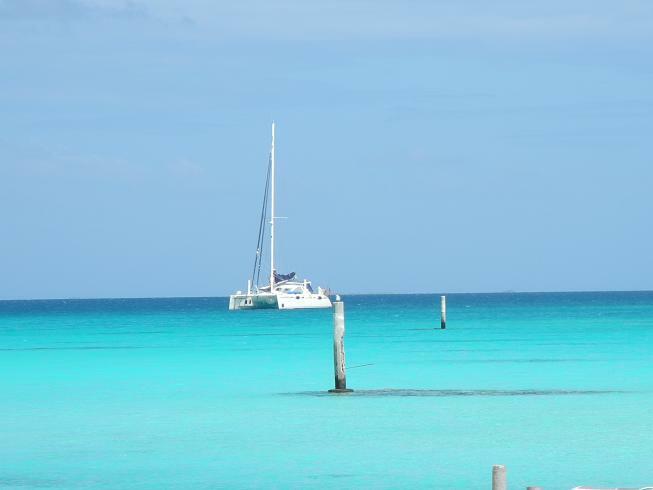 Easy access to the water is made simple thanks to the extended sugar scoop transoms on both port and starboard. 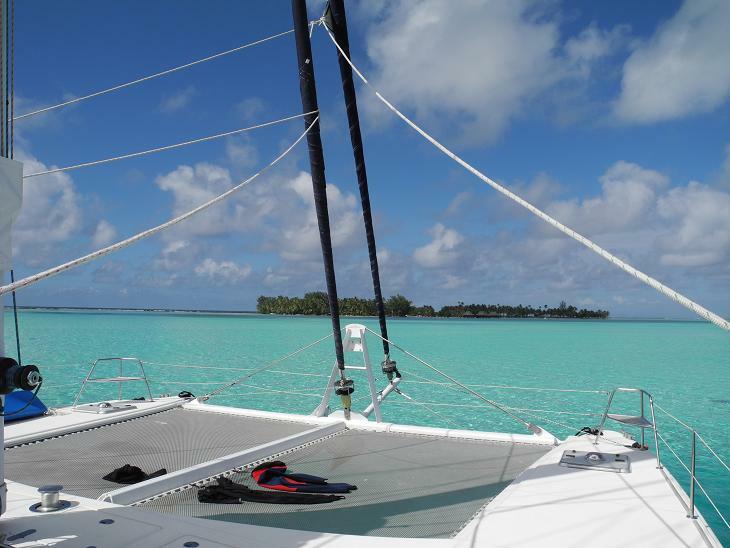 Wrap around decks lead to a massive foredeck with dual safety trampolines, ideal for sun bathing or simply relaxing with an aperitif watching the sun go down. S/Y FOLLIA has a beam of 9.1m (30ft) and a draft of 2.7m (9ft), the yacht was designed with lifting centerboards for optimum speeds and can therefore reduce the draft to an astonishing 0.3m (-1ft), making her the ideal yacht for shallow cruising. 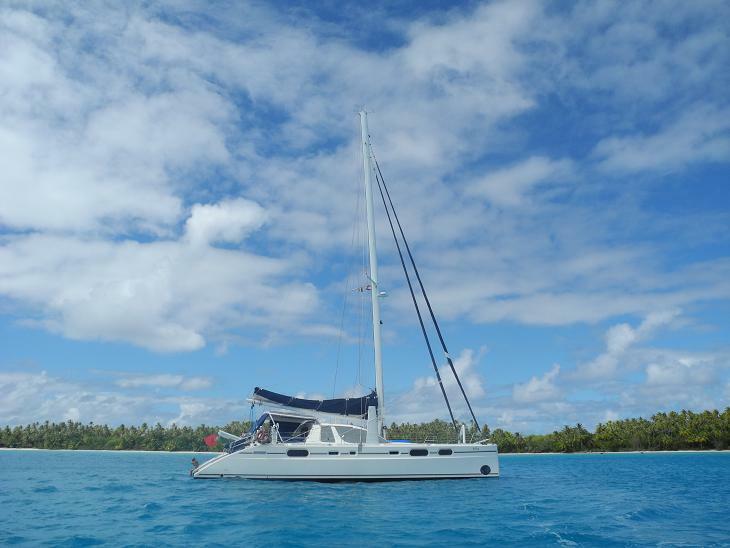 Luxury sailing catamaran FOLLIA can accommodate up to 8 guests in 4 en-suite cabins. 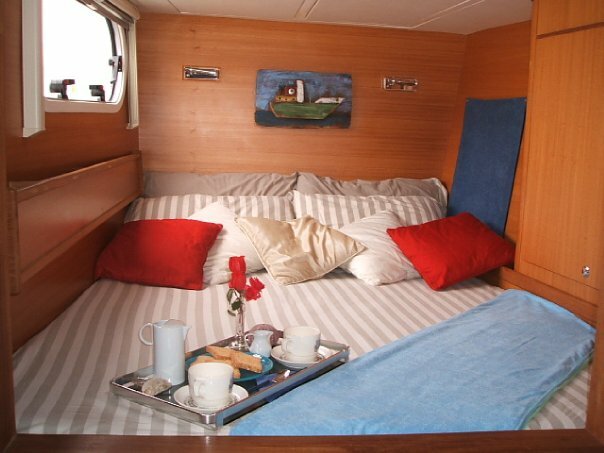 Forward on port and starboard are 2 mirror image cabins with double beds. 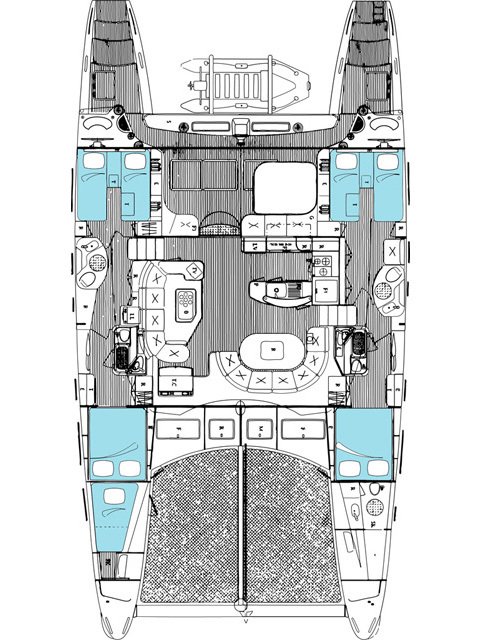 Aft on port and starboard are 2 twin cabins that can easily convert to double cabins if required. 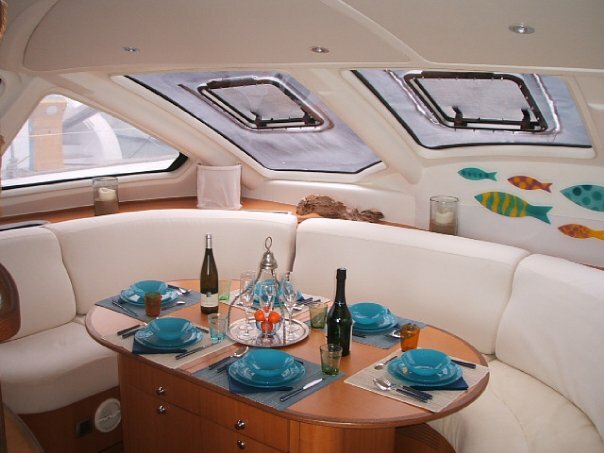 Each cabin has the Catana trademark large oval ports allowing ample natural light and warm tropical breezes. 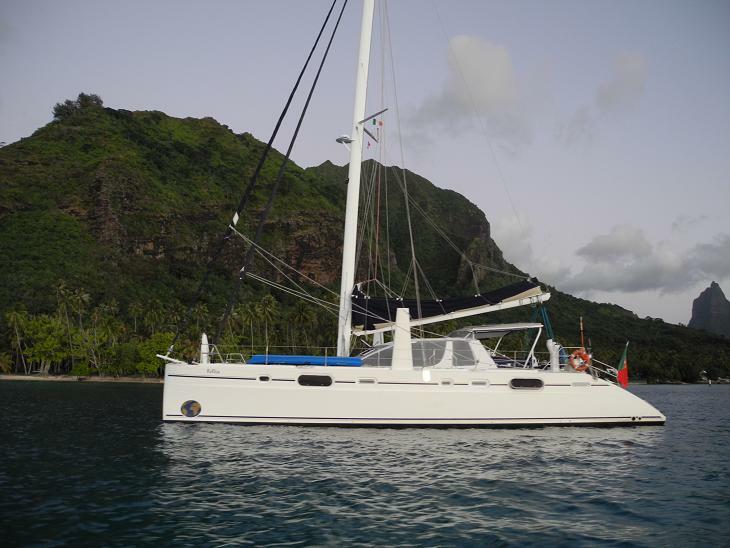 The FOLLIA catamaran has the following Tenders & Toys for guests to enjoy while on charter in Tahiti and the South Pacific: Tender 4,5 mt with 40 hp honda, 1 x bauer compressor, 1 Kayak, Water ski, Snorkeling, Fishing gear, Communications include 1 Fax, 2 sat phone lines, 1 sat internet line, Audio Visual Equipment and Deck Facilities include LCD TV with DVD player, Radio CD player.